Authorities say they have had to divert two of the five helicopters rescuing 1,300 passengers and crew from the cruise ship to help the Hagland Captain cargo vessel’s crew of nine in the storm. 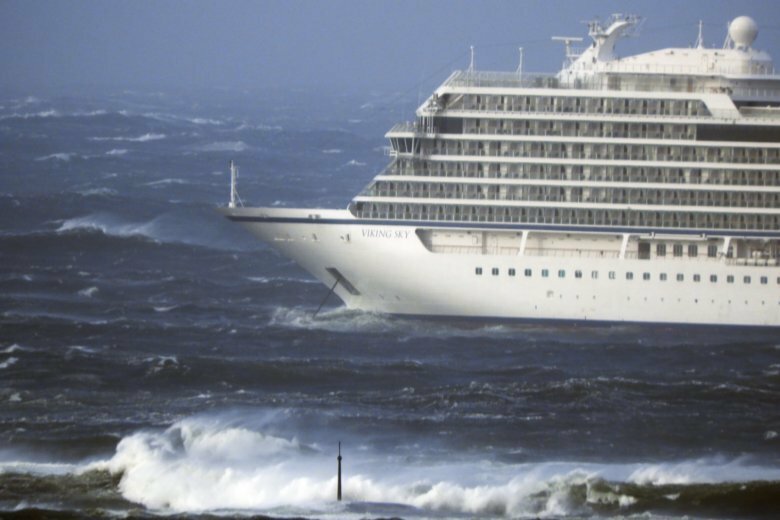 The Viking Sky had engine problems and sent a mayday call off Norway’s western coast on Saturday as it desperately tried to avoid being grounded on the rocky coast. Then the helicopter rescues began. Norwegian newspaper VG said the Viking Sky into propulsion problems as strong winds and heavy seas hit Norway’s coastal regions and had to moor in Hustadvika Bay, between the western Norwegian cities of Alesund and Trondheim.